The folktrax website is being preserved as a service to the folk music community by Loomis House Press. Peter Kennedy died on the 10th June 2006 and his wife, Beryl, died on the 9th April 2007. They are sadly missed by their family and by their friends. 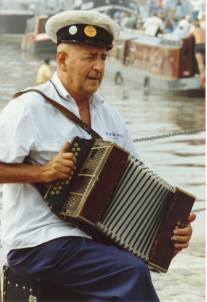 While Peter was still alive he had started a process that would ensure that his recordings and his documentation of the collection of folk songs made over his life would be preserved for the future. In September 2007 the folktrax business was wound up and the associated website was closed down. A number of people have expressed regret that the information that it contained was no longer available. With the agreement of the Kennedy family and of Topic Records this edited version has been prepared and, through the kindness of Mark Heiman of Loomis House Press, has been put back up on the internet. 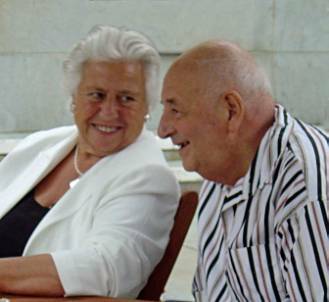 Following Peter and Beryl’s death an agreement was reached with Topic Records who acquired the recordings and the associated papers which are now in the care of the British Library. Topic Records have plans to issue a series of compilations based on the recordings made by Peter Kennedy in the coming years. Camsco Music continues to offer a selection of the CDs from the folktrax catalogue. For details see their website www.camscomusic.com. Though the cataloguing and presentation of the recordings and documents will take some years it will, in due course, be available for study by researchers in the British Library. Peter ’s extensive library and his collection of commercial recordings were donated by him to the Halsway Manor Society, where they are now being catalogued and added to their own library -- now renamed the Kennedy-Grant Memorial library. This will be an important enhancement to this important resource for folk song and dance study in the South-West of England. This website has been preserved as it was at the time of Peter's death, with the exception of this page and of the 'Order' and 'Contact Us' pages. The links page has also been checked and updated. The site contains a wealth of information about traditional singers and songs and details of recordings. Because the site was intended to be a catalogue of Peter's personal library and archive, as well as of the folktrax recordings that he sold, it lists the commercial recordings and off-air recordings that he had made for his personal use and consultation by archive users. Only items in red were sold by folktrax. 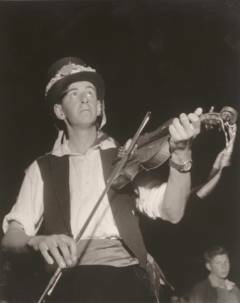 The 'About us' page gives Peter's account of his family's involvement with folk music from the time of his great-grandfather. It should, perhaps, be emphasised that this site is Peter's own work and that the views expressed are his own and have not been mediated by the present editors.